1. The River of January. Rio de Janeiro translates to “River of January” in Portuguese, the month that it was discovered by Portugal. That said, locals are called Cariocas, a word that derives from kara’i oka (in the indigenous Tupi tongue, “white man’s house”). 2. There are more than 30 miles of beaches in Rio. Rio’s beaches are world-renowned for their clean and soft sand, and so conveniently accessible from most hotels and hostels. Along the beach you’ll also find a plethora of rental tents and chairs, wet trails, free showers, bars and cafes. Soak in the sun at Copacabana and Ipanema, the more popular of the beaches. You can practice your surfing skills or down a sanduíche natural, a cold sandwich with vegetables and mayo. Prefer to avoid the crowd? Opt for Leblon, the quieter sister beach but equally as beautiful. 3. The city is divided into three zones. The Zona Norte, the older Centro and the beach-lined Zona Sul. n the North, you’ll find a few monuments of note, like the Zoo, National Museum and the Observatory. In the Center, you’ll find the historic churches, monuments and squares at the city’s old waterfront. The South is where you’ll find the bulk of its famous beaches: Copacabana, Ipanema, Leblon. 4. The city’s drink of choice is the Cafezinho. The cafezinho is a popular welcome drink in Brazil, and are often imbibed at work, in the home, and sophisticated boutiques. The minute you walk into any door, don’t be surprised if someone asks you “você quer um cafezinho?” (Do you want a cafezinho?) When in Rome! Do as the Brazilians do and pair a cafezinho (little espresso) with a pão de queijo (cheese bread). There’s an excellent café in Leblon called Cafeína to do just that. 6. It took 9 years to complete Christ the Redeemer. Finished in 1931 on Mt. Corcovado’s peak, it’s become the cultural icon for both Rio and Brazil. Pre-10AM is the best time to check out the statue—best to avoid the queues and crowds—so hop in a taxi your first morning in Rio. It has been dubbed one of the New Seven Wonders of the World. 7. “The Girl from Ipanema” was inspired from an actual girl. Songwriters Antonio Carlos Jobim and Vinicius de Moraes teamed up to write the lyrics to the song when they were struck by the beauty of a seventeen-year-old girl named Heloísa. Interested in Brazil and Beyond? 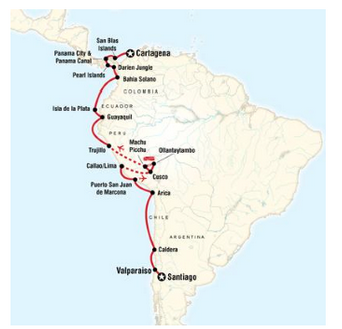 Call us up for a chat about South American Travel! Call 503-224-0180 or email info@wittravel.com. Photos courtesy of Flickr Creative Commons, Nicholas Bittencourt, Christian Haugen, Diego f. Garcia and Deni Williams. Cuzco (“Qosqo” in Quechua), situated in the Urubamba Valley of the Andes mountain range, was once the capital of the Inca Empire. Today, it’s a city renowned for its colonial architecture, controversial history, and countless ruins—the most famous of which is Sacsayhuaman, the fortress where Conquistador met Incan in 1536. The modest metropolis of Cuzco has a healthy nightlife, but also maintains a balanced sense of tradition through its indigenous population. 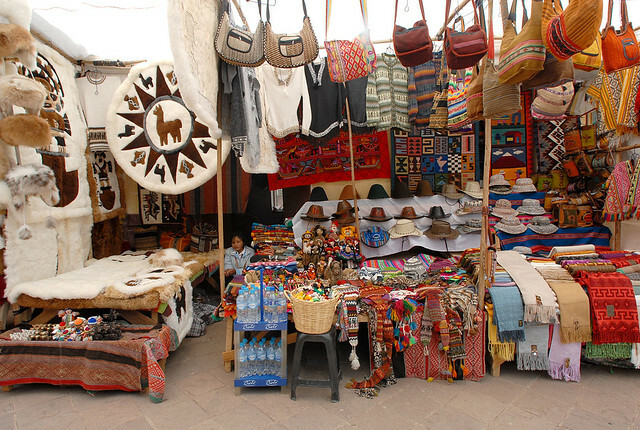 Cuzco has many draws, including delicious Peruvian cuisine, markets, colorful textiles, and cobblestone streets. Sites not be missed are San Pedro Market, Plaza de Armas, and Plaza de San Francisco. 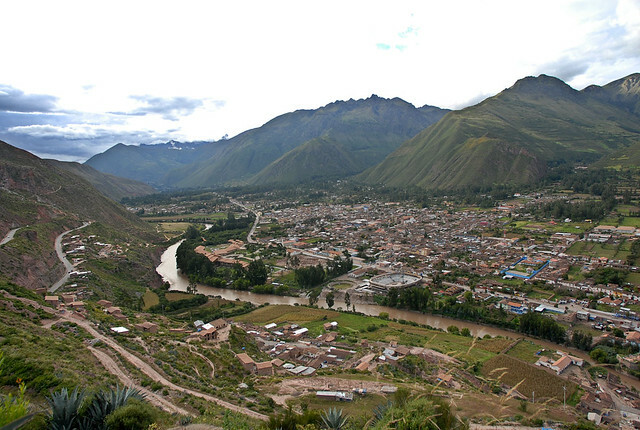 Visitors often fly from Lima or Arequipa, though be aware of the onset of altitude sickness. At 3400 m above sea level, it’s important to establish physical equilibrium before any heavy activity. There are plenty activities to enjoy during your stay in the ancient city. Within Cuzco are ample opportunities to participate in city tours, cooking classes, and folklore shows. 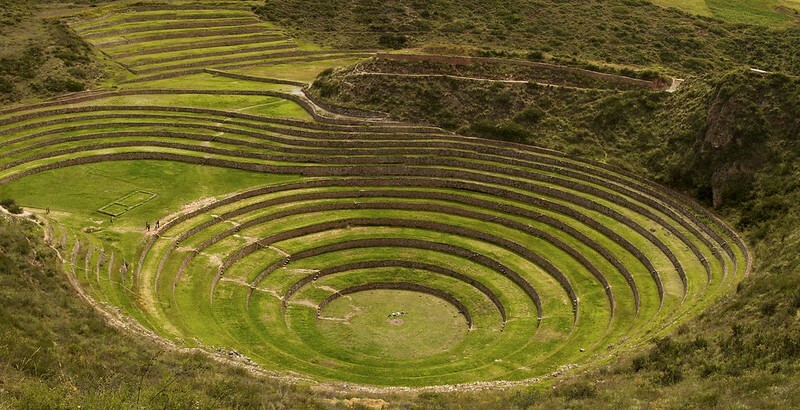 Beyond the city limits, the traveler can take comfortable or adventurous day trips to the Sacred Valley of the Incas and the villages of Ollantaytambo and Chinchero. The villages that surround the city—and their remarkable agricultural terraces, stone canals and aqueducts—are still used as they were 500 years ago. Adventurous travelers can enjoy whitewater rafting, paragliding, canoeing, horseback riding, or rafting down the Rio Apurimac. You can even travel to Machu Picchu—but it’s best to stay overnight to fully enjoy the ruins there. If you want to escape the city and learn about the real Quechua community, there are even chances to barter in local craft markets, speak with indigenous families, enjoy traditional a Quechua lunch, and participate in a community activity such as farming, fishing, painting houses or cooking. If you have time, visit the Ccochahuasi Animal Sanctuary, a rehabilitation center for victims of poaching located between Cusco and Pisac. There are deer, pumas, macaws, alpalacas, llamas, condors, and a host of other incredible creatures. Ask your Willamette Intl Travel about arranging day tours and transfers to Cuzco and Machu Picchu. We can arrange private, group, half day, and multiday adventures during your Latin American itinerary. Tune in next time, when we take a closer look at Machu Picchu! Call us at 503.224.0180 or email info@wittravel.com. I made this in the kitchen over the weekend–delicious and great for a snack! Pulse all ingredients in a blender until smooth. Add more hot peppers, black pepper or salt as needed.